or would like to request a quote, please do not hesitate to contact us. service for our clients. Building on a long history of over 40 years in the Print and Display Industry. 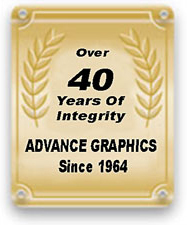 Advance Graphics has continued to move forward apace with technology. Roll-up Banner Stands, POP Displays, Brochure Stands, Quickstand, Banner Stands Ontario, Banner Stands Alberta, Banner Stands Canada, Ultima Displays, Diigital Printing. Hamilton, Niagara, Thunderbay, London, Waterloo, Kitchener, Barrie, Ottawa, Montreal, Fredericton, Halifax, St. Johns.